Gretsch Guitars and Pabst Blue Ribbon Beer presents the 2012 Lake Havasu Rockabilly Reunion Festival this weekend, Feb. 17-19 at Lake Havasu Arizona State Park Windsor #4. Live music, hot rod cars, carnival mid-way, Ms. Lake Havasu Rockabilly Pinup Girl Contest and much, much more! 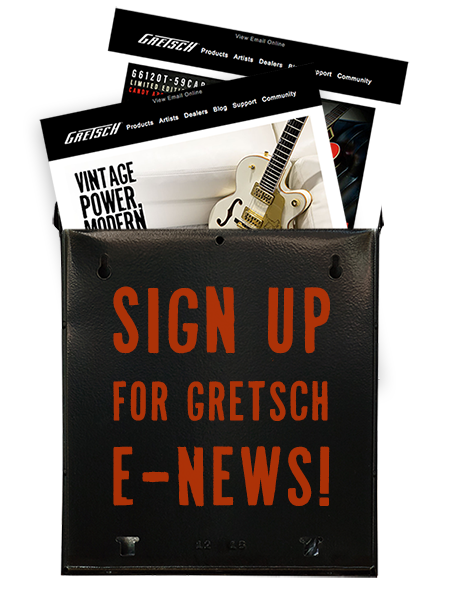 Gretsch will be there with a fabulous display of guitars as well as the lovely Gretsch Girl, Kim Falcon, who will be signing her NEW poster for attendees free of charge.